Last post 01-29-2018 12:04 PM by DidierAubin87. 9518 replies. I'm carrying some extra weight and I'm not real flexible at the moment so that set up is how it is. I know, it ain't pretty but I feel I'm at least in the saddle so I doing better than the majority of the population who are riding the couch! Your R3 looks really good dkane. My head set spacers and stem get moved around some from time to time, so understand. That SLK crankset/chainring also looks great. Keep riding! Thanks Butch. I like the SLK as well, though the big ring may need to be replaced. What is the purpose of that blue Fizik do-hickey on the seat post? It's to mark the seat post height. I don't use bike rack with my car. I can take the front wheel off and the seat post out and stand the bike up in my car. That way, it's lock up. Having the blue collar makes it easy to get the right height and I like the look of it! I've never seen that before, most of us use electrical tape :) Did fizik make the collar for this purpose or was it something else before becoming a seat post height marker? 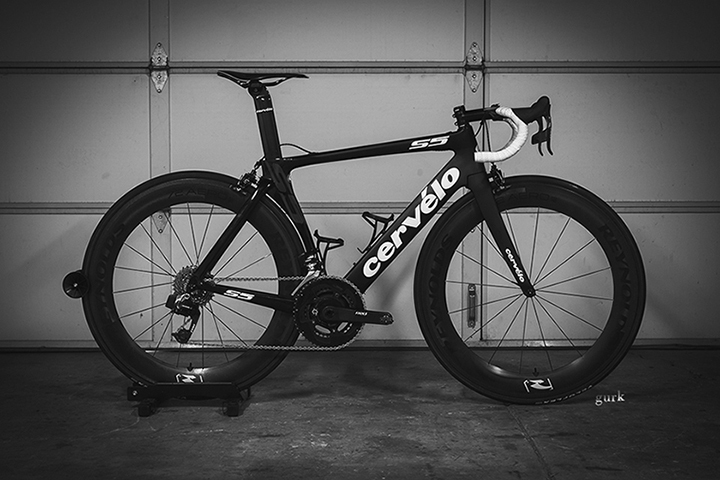 54cm 2014 S3 with full Dura Ace 9070 Di2 group (battery inside the downtube using Cervelo S5 support) and C24 training wheels. That's a great bike! Swapped some parts and my new wheels came in! 6.69kg as pictured and ready to roll.